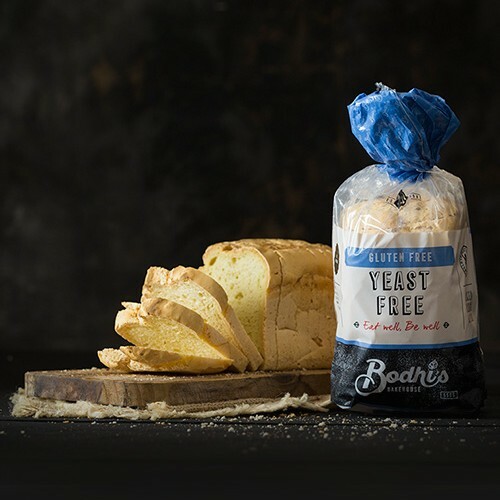 Being Gluten free and having the lowest GI of any gluten free loaf this bread is suitable for Coeliacs and also provides a good source of Omega 3. 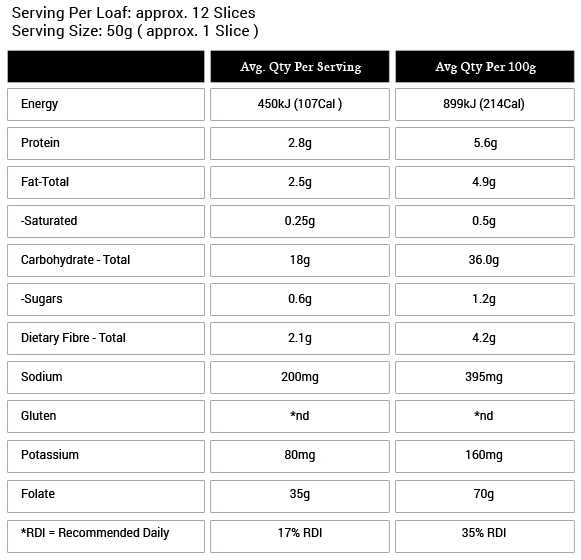 A great tasting loaf which can greatly assist in weight control. 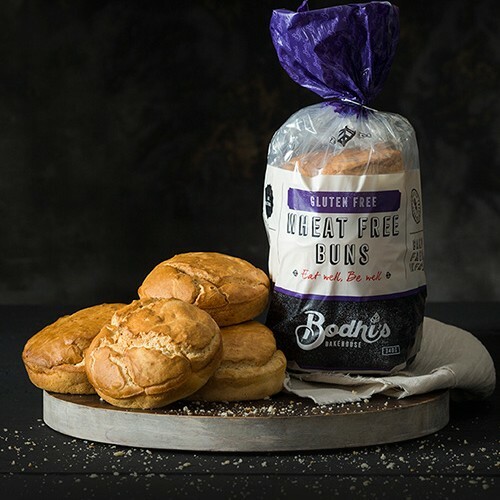 Being Gluten free and having the lowest GI of any gluten free loaf this bread is suitable for Coeliacs and also provides a good source of Omega 3. 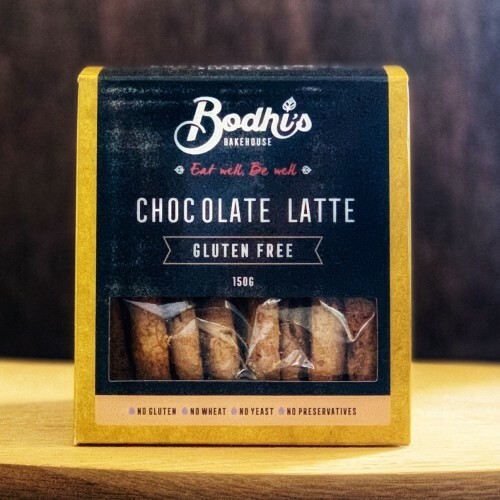 Lupin Loaf is one of Bodhi’s products scientifically formulated by Dr. Elizabeth Nottage (B.Sc.Ph.D.). 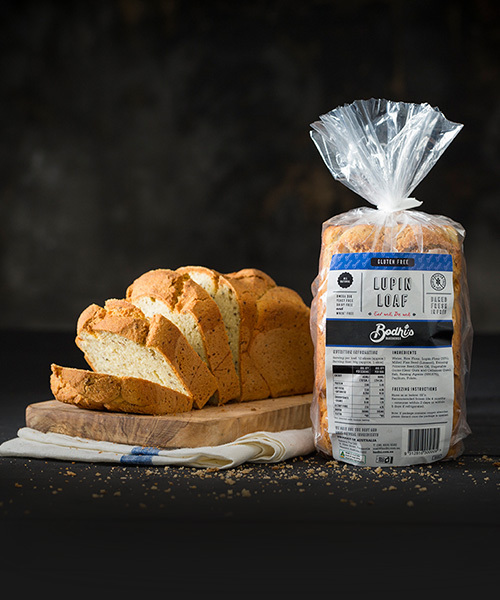 By using Lupin Flour 10% (the World’s new superfood), Rice Four and Miled Flax Seeds we not only created a rich nutty tasting loaf with a delicious dense crumb, suitable for Coeliacs, but also a bread that will assist you in your weight management. Water, Rice Flour, Lupin Flour (10%), Milled Flax Seed (Linseed), Evening Primrose Seed, Olive Oil, Vegetable Gums (Guar Gum and Cellulose Gum), Salt, Raising Agents (500, 575), Psyllium, Folate.